Commonly known as the “asparagus of the poor”. Leeks cooked sous-vide at a low temperature are a recipe worthy of any restaurant and cuisine. 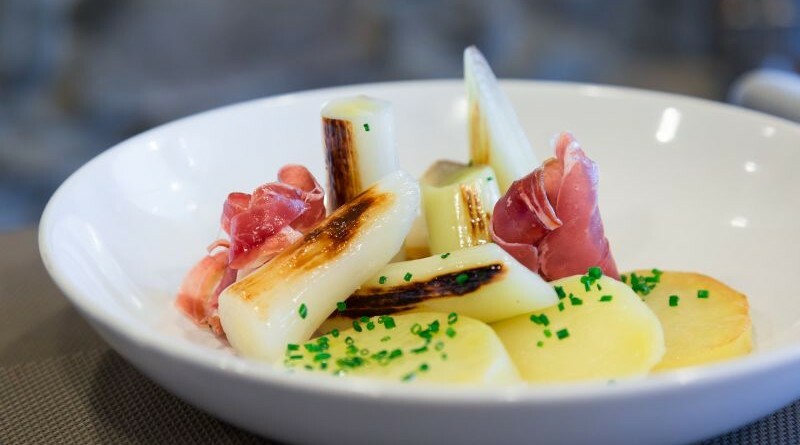 The texture, the colour and the flavour of this vegetable is highlighted with the simple touch of a vinaigrette and just the right amount of salt. 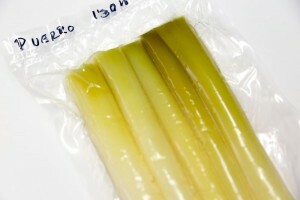 Cooking them sous-vide, we maintain the structure of the leek. In addition, once cooked sous-vide, they will keep better, as the conservation time is multiplied by three. Peel the leek just enough and wash it well. Season with salt and place it in a bag with a dash of oil. Cook for 1h 20 at 70º. Peel the potato and cut it into 11 mm slices. Rinse, season with salt and place in a bag with a dash of oil and 100 ml water. Cook at 90º for 50 min. Cut the leek into cylinders of approximately 8 cm. Brown in a frying pan on all sides. Remove the potato carefully from the bag, drain and brown on the two sides. 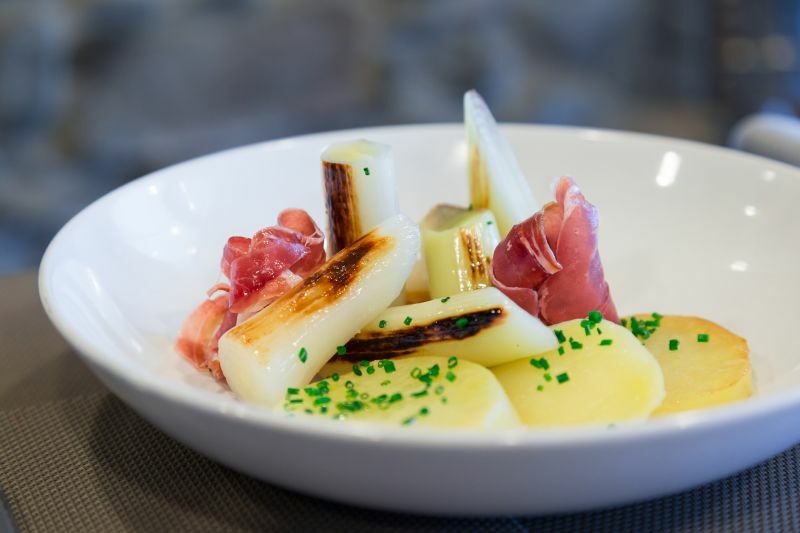 Put 3 slices of potato in the base, with 4-5 sticks of leek and finish with a few shavings of ham.